Dialog support for the List method is only available for the definition of Multi-step analyses. The simulator also offers an Octal sweep method but this is not supported by the Choose Analysis Dialog. Each of the sweep modes is explained in more detail below. In this mode the principal value of a single device is swept. The analysis definition must specify the part reference for the device. The following types of device may be used. Global circuit temperature is swept. 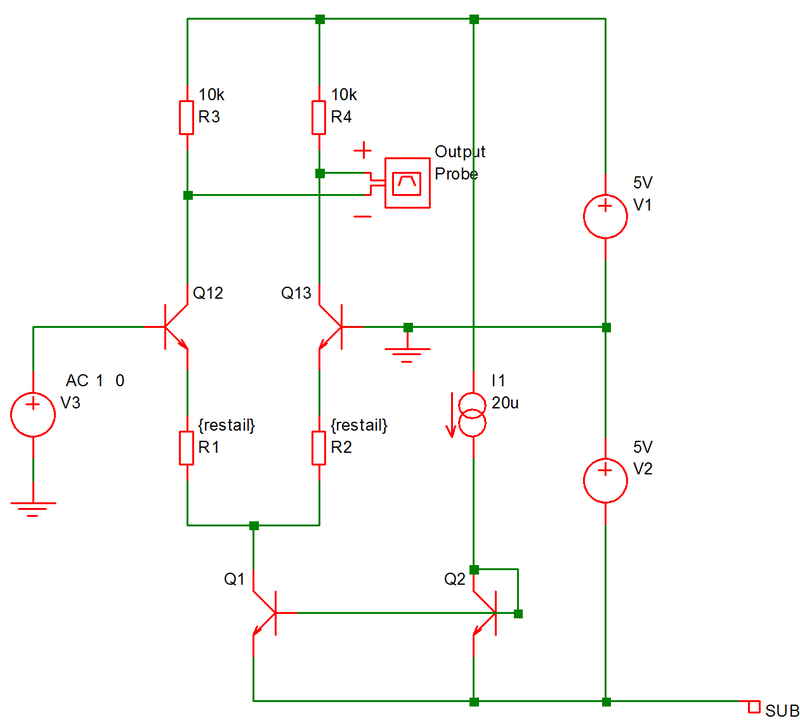 Similar to device sweep except applied to a named model parameter. Both the model name and the parameter name must be specified. It is recommended that any model parameter being swept is also specified in the .MODEL parameter list. In most cases it isn't actually necessary but there are a few instances - such as for terminal resistance parameters - where it is necessary. Note that this analysis mode is not available in standard SPICE or the majority of its derivatives. Most offer parameter sweeping, but only for DC analysis. 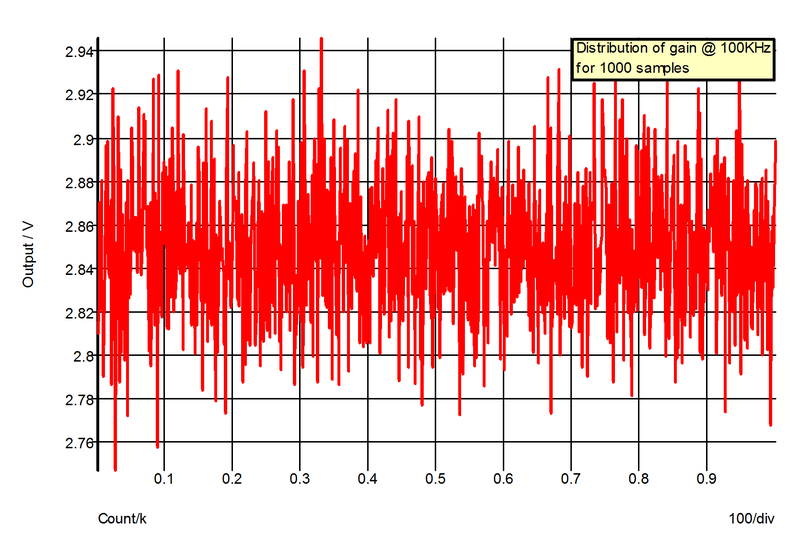 Sweeps frequency for the small signal analysis modes namely AC, AC Noise and Transfer Function. In standard SPICE it is the only sweep mode available for AC and Noise while Transfer Function can not be swept at all. 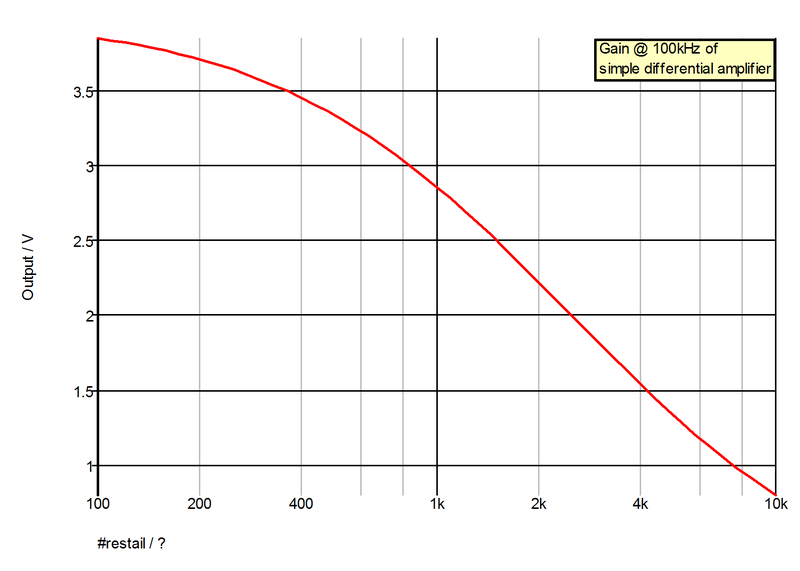 The graph shows the variation in gain for 1000 samples. Using the histogram feature a statistical distribution of the above can easily be plotted.